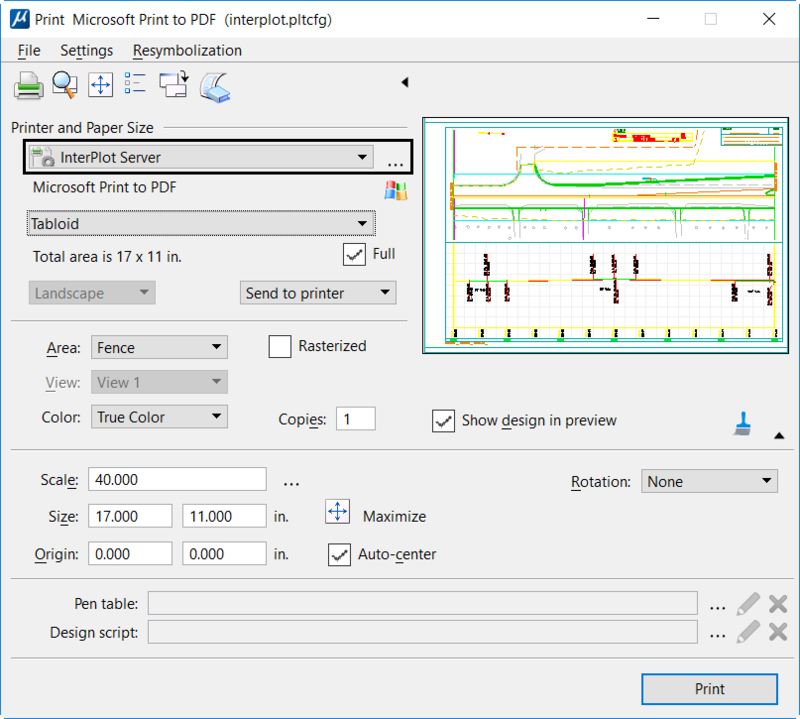 MicroStation CONNECT Edition allows for printing directly to a ProjectWise InterPlot Server plotter without the need for installing ProjectWise InterPlot Client. A new InterPlot Server plot configuration file (interplot.pltcfg) is delivered to assist with printing directly to your InterPlot plotters. Similar to the default printer.pltcfg plot configuration file you will want to make a copy of the interplot.pltcfg file for each InterPlot plotter and edit the properties of the configuration file to match each individual plotter. Do you submit plots in InterPlot using saved Iparm (.i) files? Those cannot be used with the standard MicroStation Print dialog, however, the functionality of the IPlot iparm file can be replicated using a combination of a Print Style and saving the print settings in a Print Definition file (.pset).